We finally have a health food store in our town! I am very excited to welcome Coastal Bend Health Foods to Rockport. 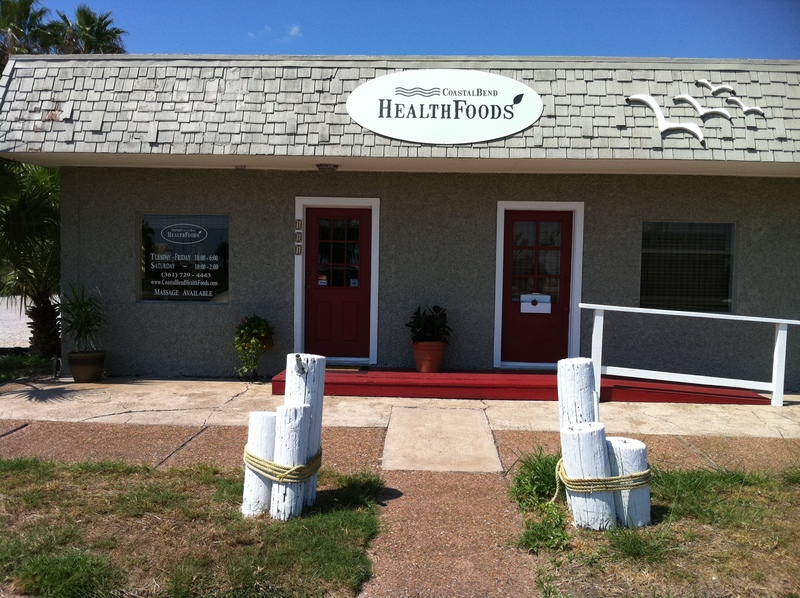 Coastal Bend Health Foods is an independent store owned and operated by Kimmi Norvell. Kimmi offers a wide range of health foods, beauty supplies, vitamins, and supplements—many items that you cannot find at the grocery store or anywhere else around Rockport. She offers individual and bulk quantities of healthy grains, flours, oils, nuts, and many other food items. You will also find herbal teas, local honey, vegan products, whole wheat pasta, healthy snack foods, and much more. Kimmi carries a host of local and Texas made products, and she is adding new items all the time. Beginning now, Kimmi will carry all of our Four String Farm products: pastured pork, pastured chicken, fresh eggs, and seasonal vegetables and herbs. You no longer need to arrange a delivery to enjoy our food—just stop by Coastal Bend Health Foods and purchase what you like at your convenience. Kimmi will always know what farm fresh products we have available, and when our next chicken, pork, and vegetables will be ready. What’s more, Kimmi can tell you anything you want to know about how our food is grown. Coastal Bend Health Foods is located at 111 N. Austin Street in Rockport’s Heritage District, next door to Latitude, near Rockport Harbor. Store hours are Tuesdays-Fridays 10am-6pm and Saturdays 10am-2pm. Friends, the next time you go shopping, I urge you to stop by Kimmi’s place on the way to the grocery store. Find out how many wonderful products you can purchase from a local source, from a neighbor. Kimmi has a passion to provide wholesome, healthy, fresh products to her customers. Stop by her store and see what she has for you. Hurray! I can’t wait to stop by Coastal Bend Health Foods and see what is going on. Thanks for putting the word out.